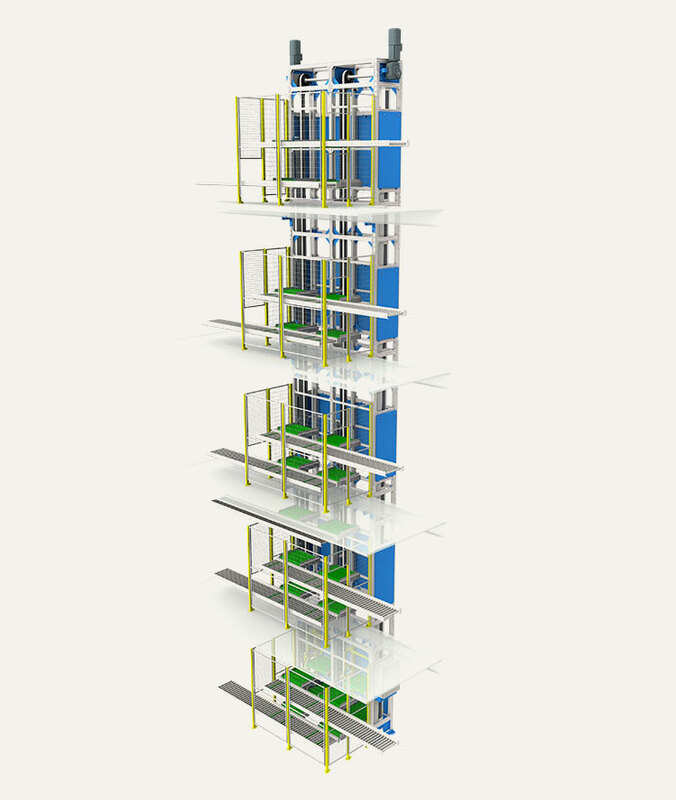 The Nerak multi-carriage reciprocating lift is the ideal solution for servicing multiple mezzanine floors in picking applications. During each cycle, a full tote can be collected whilst an empty tote is deposited for replenishment. Available in twin and quadruple carriage options, this solution is designed to improve the efficiency of each lift cycle, leading to higher throughput levels. In addition, Nerak offers the option of independent left and right carriages, enabling more than one floor to be serviced simultaneously. Comprising robust components, Nerak’s vertical lifts ensure reliable operation in even the toughest of applications. They can either be supplied as a stand-alone system or integrated into a larger warehouse solution. You can see a Multi-Level Reciprocating Hoist System working as part of a Pick Floor Solution.